I know that it's already Easter, and that some kids are already enjoying a long weekend! Jealous! Are you ready for your Easter Holiday? I think I am. 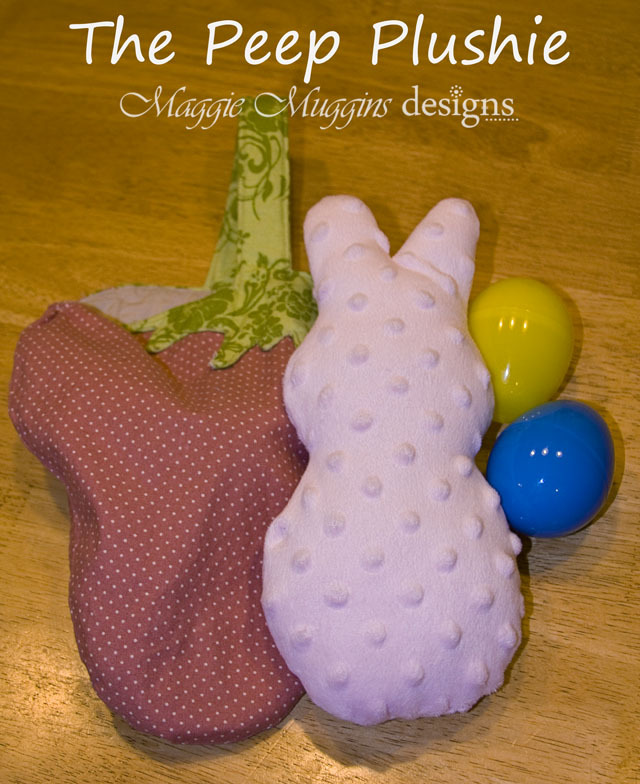 I made one of these for Easter and I thought it would be nice to share the pattern with you, just in case you need something last minute. This is so easy and quick to make. I'm not even going to upload a whole bunch of photos to go with it. Instead, I'll post simple instructions. If you want to see the steps using a similar pattern go HERE. 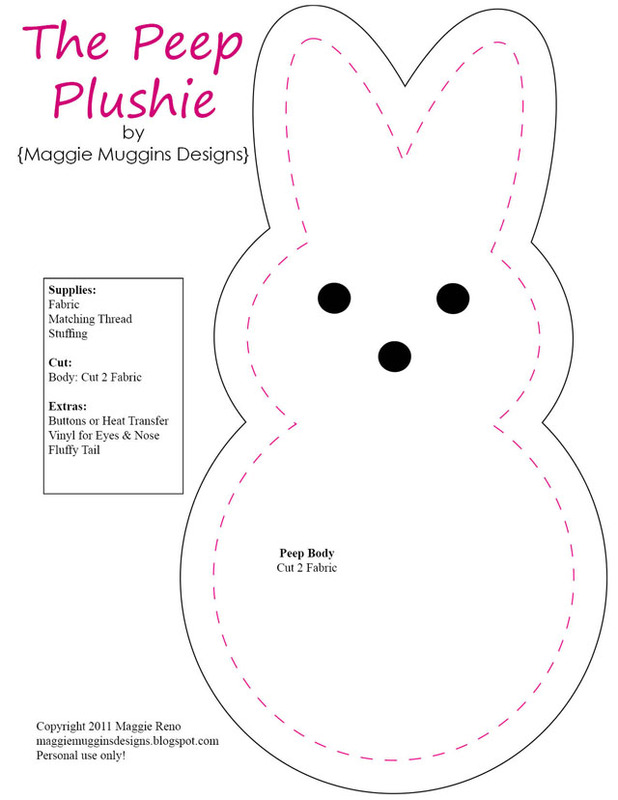 If you have some other shape you want to turn into a Plushie for Easter, go HERE and learn how to do it on the Silhouette. 1. Print the Pattern. You will need to use borderless printing for this pattern. 3. Pin right sides together and sew around (1/4" seam allowance) matching the red dotted line of the pattern. LEAVE A 1 1/2" Opening at the bottom. 4. Clip the curves and close to the seam in between the ears. This will help everything lay flat. 5. Pull right sides out through the opening and then even out the edges. 6. Stuff evenly then hand sew shut at the opening. 7. If desired, add eyes, nose, whiskers, and/or a fluffy tail. Just in case you make this in a regular fabric, not the minkee - HERE is a free Silhouette file for you! Complete with eyes, nose and a tail that you could cut in Heat Transfer Vinyl or fabric and iron on! 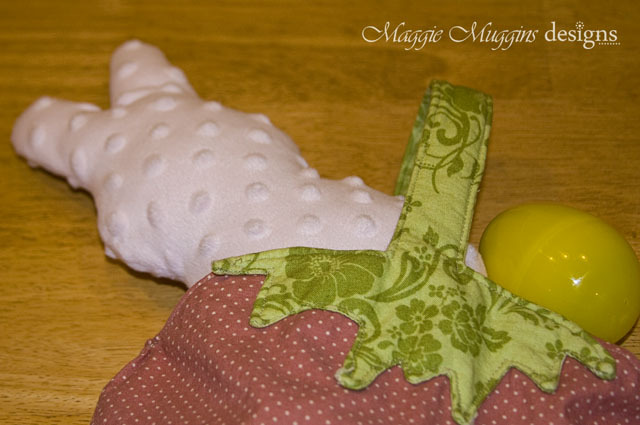 Won't this be so cute in the Easter Basket, or out in the grass with the eggs?! How about in the Strawberry Tote? I'm excited for Easter and giving my kids a little basket of goodies Sunday morning.